Much like the non-BBC Sherlock Homes cakes, Once Upon A Time fans literally want to eat their words. Or eat Henry’s words. Wait, who actually wrote the book of fairytales he carries around? Maybe they’re eating Regina’s words or Rumple’s words. 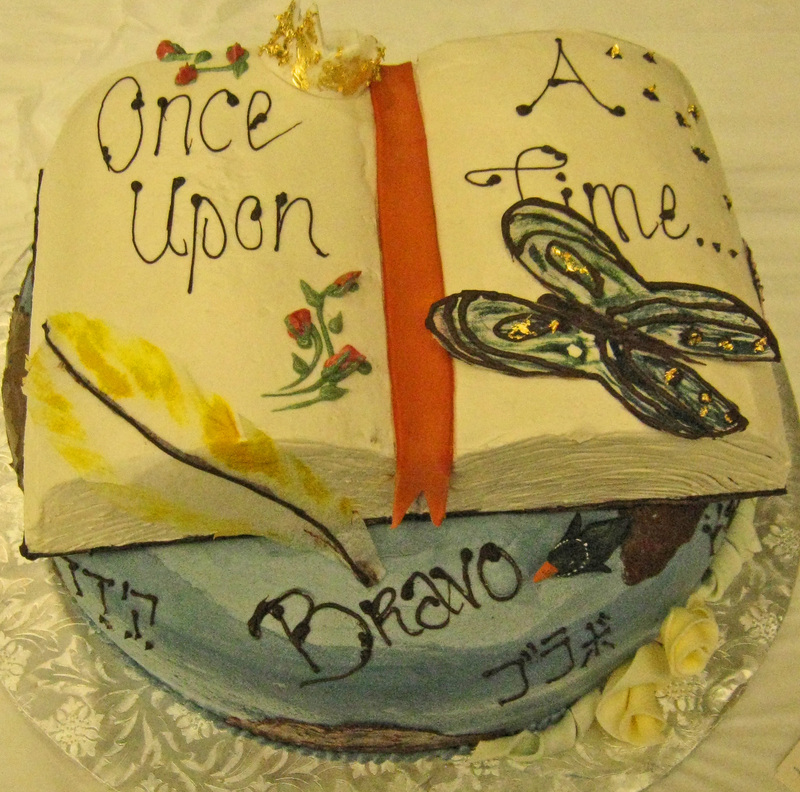 The only thing you can be sure about is this show’s fans really like book shaped cakes. Look at Henry. There is is, enjoying the sort of home made birthday cake people haven’t enjoyed since the 80’s. 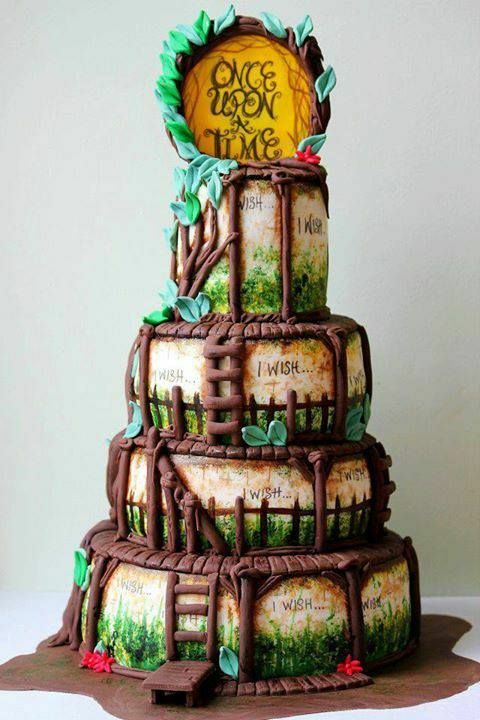 Now look at this amazing Once Upon a Time Cake created by cake artist Yisel RamirezSeda. I could shove my face right into Henry’s cake with no remorse, but I’d feel guilty taking a knife to this four tiered beauty. 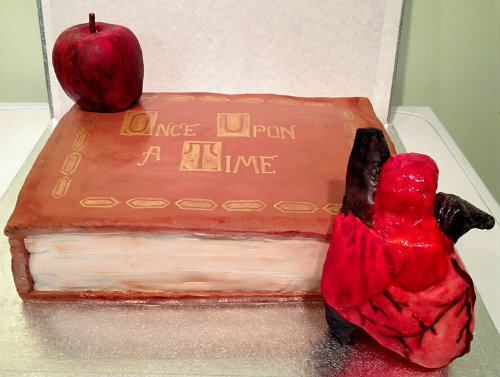 This fondant-tastic Once Upon A Time cake found on Cake Central is as elegant as Regina herself. While Henry might get a home baked cake with piped buttercream, most kids these days get an edible photo cake from the grocery store. 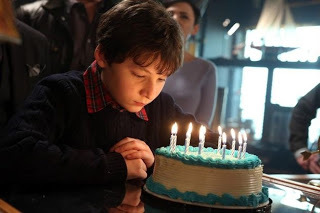 Considering how much fanfic is dedicated to Rumple’s tastiness, here’s hoping this cake wasn’t for a minor. 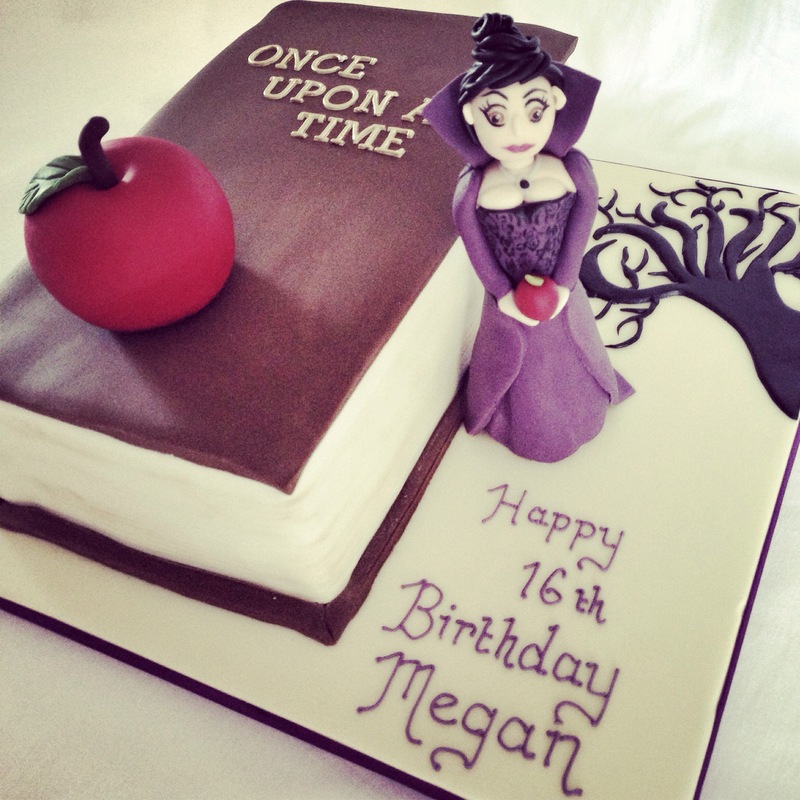 My Sweet Diversion mixes photo cake printing with fondant sculpture for this Snow White themed Once Upon A Time cake. Notice the little book in the corner? It’s about to take center stage. 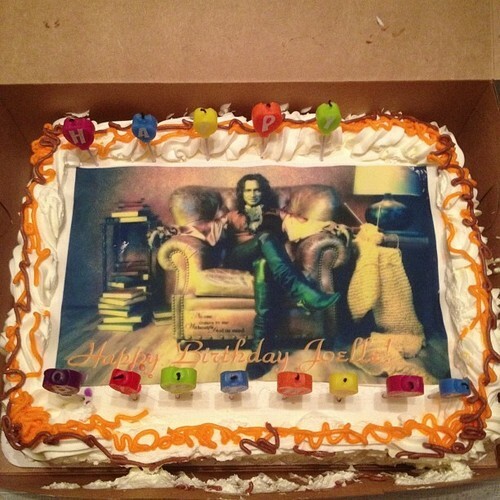 I like the way Cakes and Bakes Ni paid homage to Regina with both the apple and the heart. 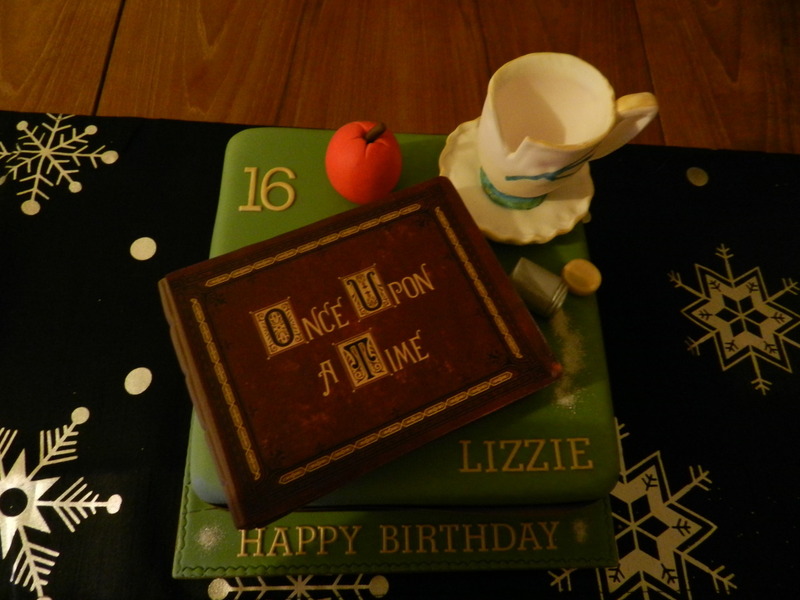 Lizzie’s birthday cake not only has a gorgeous fairytale book, but also sneaks in homages to Snow White with the apple, Rumple with the broken teacup, and the fairies with the vial of pixie dust. 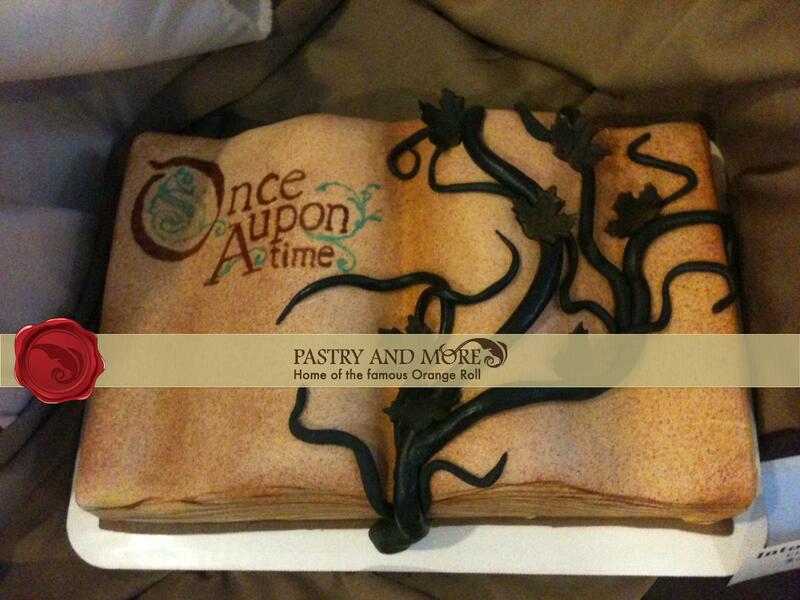 Pastry and More made this edible homage to Once Upon A Time as part of their fundraiser series. Here’s hoping Megan isn’t a princess. 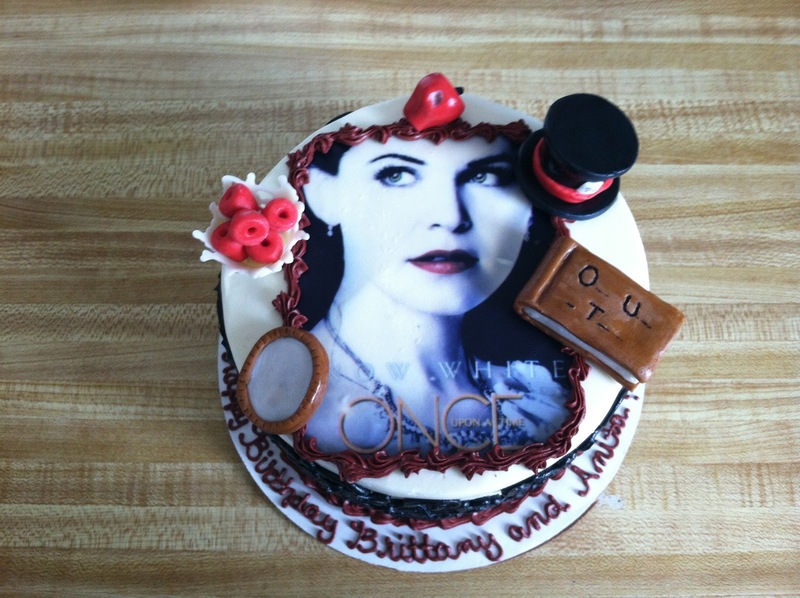 While this fondant Regina is adorable, I’d be worried about biting into that apple. 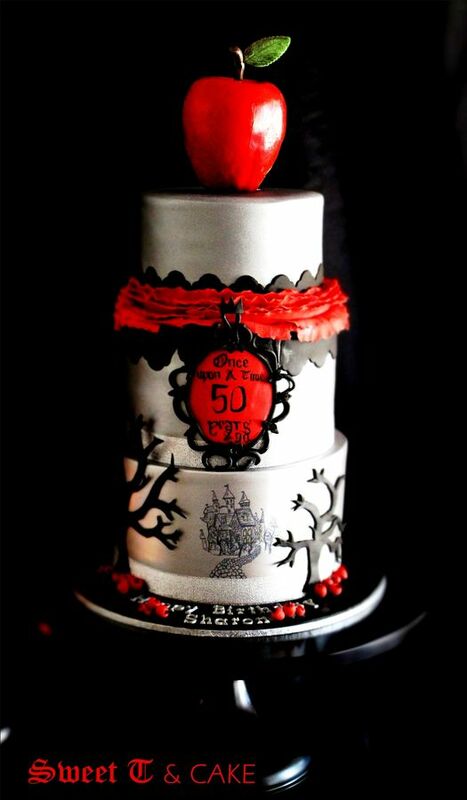 I wonder if the Japanese on Virago Bakery’s Once Upon A Time Cake is actually a curse put there by Rumple. There should be a warning label on all bi-lingual dictionaries, “Never read short passages in foreign languages aloud.” If the language is Latin, just burn the book. These cakes are so gorgeous. 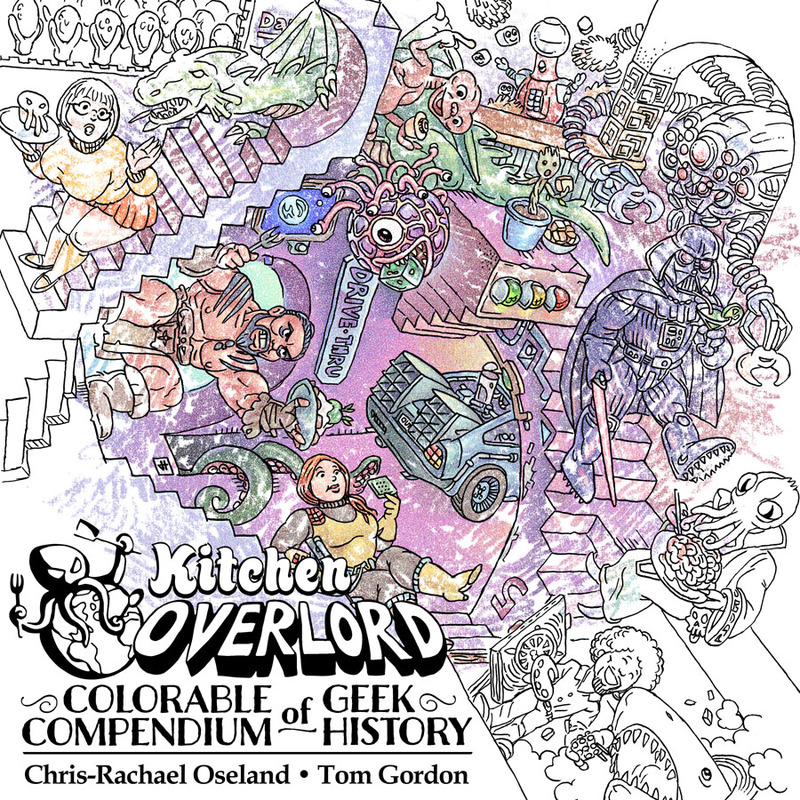 I love the stories behind them and the amazing decoration, especially the first tiered cake.